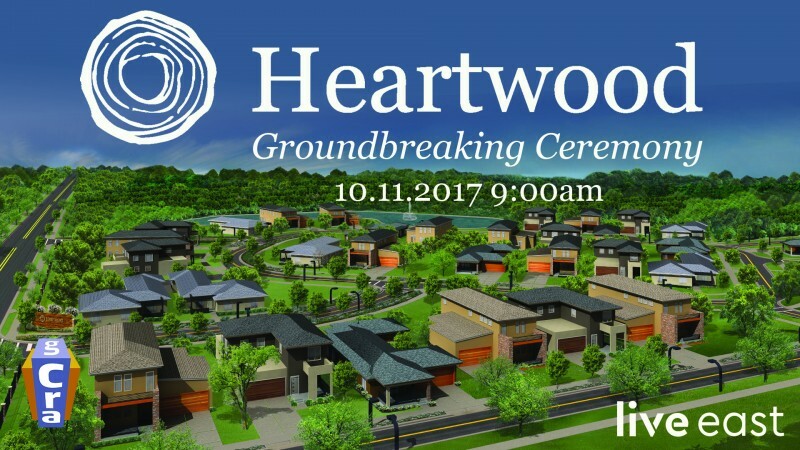 The groundbreaking ceremony at Heartwood will take place on October 11, 2017 from 9 to 10:30am. Heartwood, located at 1717 SE 8th Avenue, is a new, 15 acre neighborhood located in the heart of East Gainesville. The property is owned by the City and is being redeveloped by the Gainesville CRA. The CRA worked closely with the community on the naming, branding, and concept of the neighborhood. The master plan includes 34 detached homes, nature trails, a stormwater pond and other amenities. Heartwood has four house models to choose from, each thoughtfully designed with a modern meets traditional feel that makes the homes both desirable and competitive in the current housing market. Heartwood will be the first new housing development in the area in years. This groundbreaking celebrates the beginning of construction on all the site work necessary to turn the vacant property into a single family neighborhood. O’Steen Brothers will start construction later this month and the lots are expected to go on sale in January of 2018.